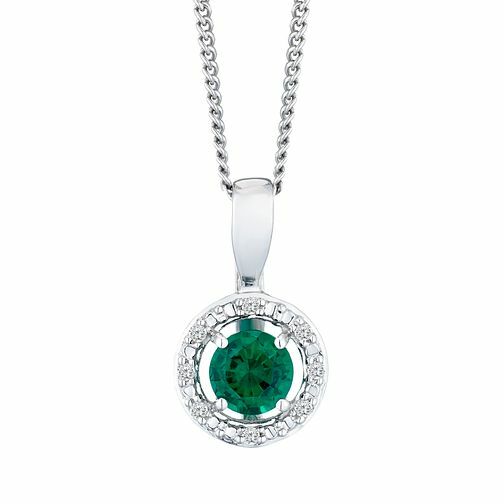 The circular cut created emerald stone give this pendant a vintage aesthetic, ideal for the modern-day woman partial to retro glamour. The 925 rhodium plated silver gives the pendant a polished finish, the central gemstone is framed with a set of 0.02 carat diamonds. This complementary accessory can be paired with your looks from day to night. Set on a 18" chain.